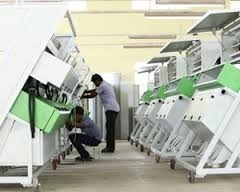 We are among the leading manufacturer, supplier and exporter of wide range of Pulses Sorting Machine. These machines are highly efficient and long lasting. Our offered products are made with fine quality raw material under the supervision of expert professionals. They are easy to install and operate. Owing to the expertise of our skilled professionals, we have been able to provide a qualitative range of Pulses Sorting Machine. The offered sorting machine is highly appreciated in the market owing to its features that can do sorting job with great ease and accuracy. 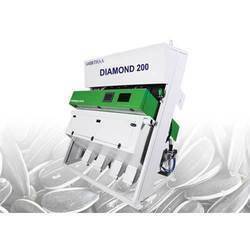 Available in varied dimensions, our offered sorting machine is precisely manufactured using superior quality components and advanced technology. 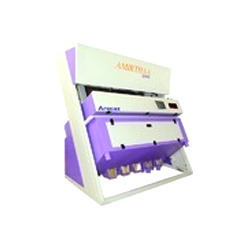 In addition to this, our prestigious clients can avail this sorting machine at nominal prices. DIMENSION (L X W X H) IN" 47" X 54" X 71" 71" X 54" X 71" 85" X 54" X 71" 85" X 54" X 71"
We have gained vast recognizance in the market as Manufacturer, Supplier, Exporter, Importer and Trader of premium quality Multiple Sorter Machine. Our extensive product range is known for robust construction, long service life among our clients. 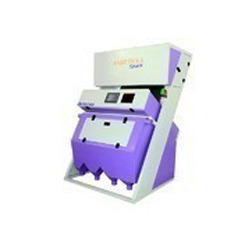 Sorghum Camera Color Sorter can be used for sorting Sorghum seeds. The product can be classified with minute detailing, setting apart the good ones from the defective seeds using a sophisticated line scan camera which scans sorghum seeds at the rate of 6000 scans per second and producing a very high resolution image of the object. 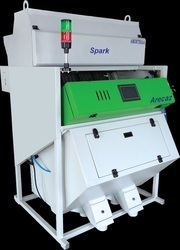 The product data is compared with user preset parameters to discard the flawed product using swift pneumatic ejectors. Product efficiency is critically appreciated globally by clients spread across the food processing industry. Dimensional accuracy with structure perfection ensures dependable and seamless performance. High resolution line scan Cameras. Upto 10800 scans per second. Automatic cleaning of viewing area by wiper system. Automatic online calibration with self check procedures. 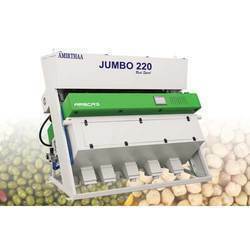 Looking for Pulses Sorting Machine ?